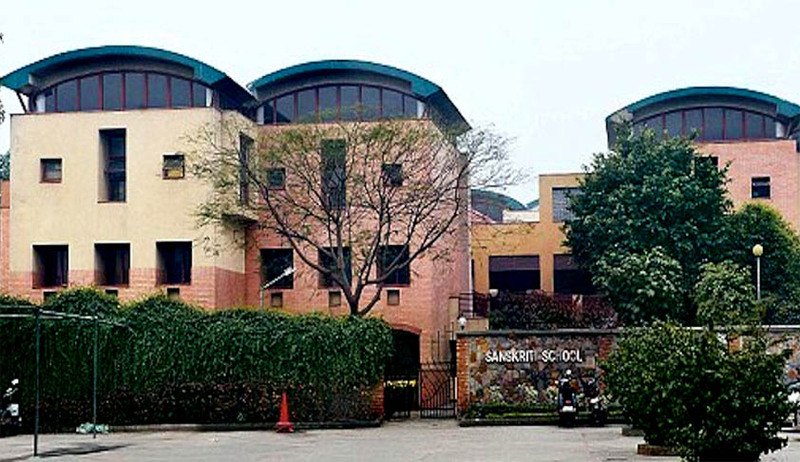 A Division Bench of the Delhi High Court comprising of Justice Pradeep Nandrajog and Justice Mukta Gupta in a Reference quashed the reservation of 60 percent seats for children of the central government's Group-A officers in Sanskriti School run by the Civil Services Society. The court was considering the question whether the Union Government can provide land free of cost to a Society formed with the object of providing school education, with 60% seats reserved for children of Group-A officers of the Union Government; finance the construction of a school building and provide the required infrastructure to run the school. The court took suo motu cognizance of the issue in 2006. The Group-A officers of the Union Government of All India and Central Services who enters service through the All India Civil Services Examination are the members of the Indian Administrative Service, Indian Revenue Service, Indian Police Service etc. The school reserves 60 percent seats for children of Group A officers, 10 percent for general public, five percent for staff and 25 percent for children under Economically Weaker Sections (EWS) category. Not all children whose parents are in Government service are the beneficiaries of the quota. The class-IV, class-III and class-II staff has been left out. The school is charging nearly 40% less fee from the children of Group-A officers of the Union Government vis-a-vis other children. The annual fee at the school for the children of Group-A officers for the year 2013-14 was Rs. 72,443/- and Rs.1, 12,960/- for the rest. The Civil Services Society was formed in February 1995 by wives of the then members of the Indian Administrative Service, Indian Revenue Service, Indian Police Service and Indian Railway Technical Service, having principal object to establish progressive schools in or outside Delhi open to children of officers of the All India and Central Services, with a clarification that if extra seats were available, children of officers of Public Sector and Non-Government Servants may also be admitted in the schools. The Ministry of Urban Development in 1995 had allotted 7.78 acres of land in Chankyapuri to the Society at a token cost of Re. 1 with annual premium of Re. 1. The Union of India through its various ministries, such as Defence, Railway and DoPT, also allotted the requisite fund to the Society to construct the school building, purchase furniture and other equipments. A commitment was made to make available Rs. 19 crores to the Society, and nearly Rs. 10 crores was to remain as a corps fund. The affidavit filed by Mr.R.Prem Anand, Under Secretary to the Government of India in the Ministry of Finance in 2006 revealed that various Government agencies and Ministries donated Rs 15.945 crores to the Society for setting up of the school. The rationale for setting up of Sanskriti School as according to the Union of India and the Principal of the school is that Civil Services Officers, having transferrable jobs, find it difficult to admit their children in ‘Good Schools’ or so called ‘Elite Schools´. The justification given by the Union of India for funding Sanskriti school is that the existing Kendriya Vidyalayas in Delhi did not have sufficient seats to accommodate the wards of Group-A officers. The Court also observed that Kendriya Vidyalayas have been established by the Central Government all over India to cater to the educational needs of the Central Government employees who have transferable jobs. It was also observed that if the number of such schools were insufficient in the particular area another Kendriya Vidyalaya could have been established. The court also held that reliance by the Union of India on Rule 206 of the General Financial Rules, 2005 is misplaced for the reason the Rule permits the Union to give grant in aid to a person or a public body set up as an autonomous organization under a Statute. It was further clarified that issue considered by the Court was whether the Union of India can make available land free of cost and give money to a society to set up a school for an elite segment of the society. “The larger issues concerning quality and equality in education is also not answered by the Union of India placing reliance upon the Rule in question,” said the Court. The Court held that as the Civil Services Society which formed the school was established by wives of senior bureaucrats in the Government and the entire infrastructure to set up the school has been provided by the various ministries and instrumentalities of the Union Government, discharging an important public duty of providing education using State land and the State funds in its creation, the school would partake the character of the State. It was also laid down that that unless on the principles of reverse discrimination a justification can be given to make available funds to a private individual who establishes a school for the underprivileged, there can be no State funding to a private individual in the field of education. The bench, however, did not go into the issue of fee concession of up to 40 percent given by Sanskriti School to children of Group A officers and said that government resources should be made available firstly to the weaker sections of society.